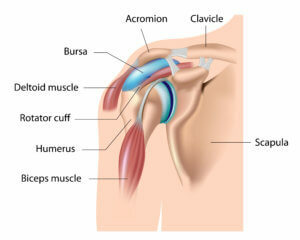 Inflammation of the bursa (fluid filled sac- between the humerus (arm bone) and the acromion (tip of the shoulder). 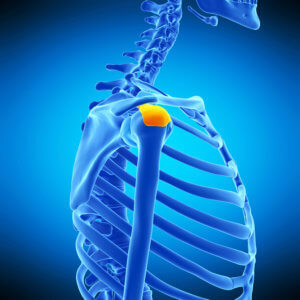 Could be caused from trauma, repetitive activities, lifting objects overhead. Our therapy team at Rocky Mountain Physical Therapy will do a complete evaluation to determine an appropriate plan of care to help return you to your activities and goals. A treatment plan may include modalities to decrease inflammation and pain in the shoulder and bursa, along with strengthening exercises for improved shoulder alignment. Rest and ice would be recommended. Contact us at 970-460-0066 (Loveland/Johnstown/Windsor) or 970-568-8461 (Fort Collins) to schedule a FREE PHYSICAL THERAPY CONSULTATION to determine if therapy is appropriate for you!